NSW Waratahs coach Daryl Gibson has named a new look backline to face the Blues at Brookvale Oval on Saturday evening. Israel Folau will start at fullback in his return from injury, with Lalakai Foketi and Cam Clark also set to return to the starting side. 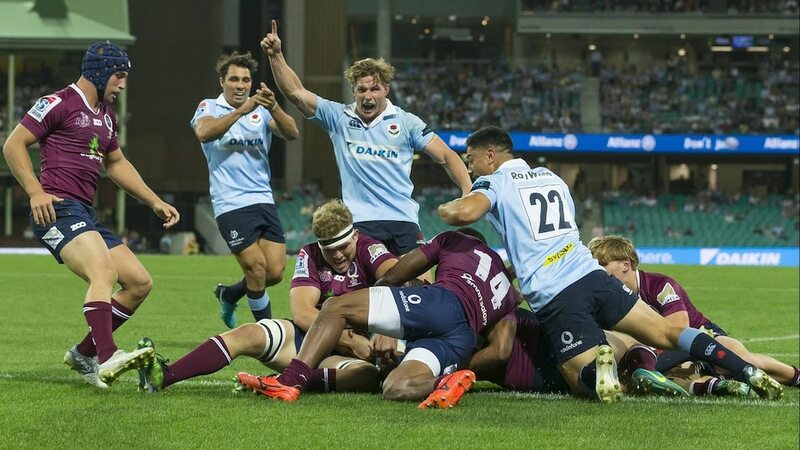 In the forwards, Will Miller will play alongside Michael Hooper in the Waratahs back row for the side’s first match against a New Zealand team this year. “We are entering a really competitive phase of our year and I really want to share that around and give guys opportunities to contribute,” Gibson said. “We’ve kept largely the same team, been very fortunate with injuries this season and I don’t want guys to be disheartened because they’re not getting a run. Coming off the bye, the conference topping Waratahs will start as favourites against the struggling Blues, but Gibson said he still expected a difficult challenge. “I’m not buying into that rubbish,” he said. “Everyone’s got their challenges, the Blues are going through theirs. “I look at us, we’re coming off a belting, 29-nil, we’re still working out how that happened, learning the lessons from that and still seething from it.